When people think of New Zealand, there is one thing that springs to mind – Adventure! In addition to Aotearoa’s mesmerising wilderness and captivating beauty, our land offers some of the most thrilling adventures in the world. Read on to see which adventure activities in New Zealand we think you should be ticking off your bucket list. One of the best places to experience New Zealand from below is the ancient Waitomo Caves. Experienced guides help you explore a myriad of underground caves – some of which are illuminated by the light of millions of effervescent glow worms, and while white-water rafting might be a big deal in New Zealand, a float through caves while black water rafting is just as fun. Make it happen: Waitomo Adventures offer one of the most comprehensive caving andblack water rafting experiences in New Zealand. Heli-skiing in Queenstown is a buzz! Breathe in some of the most peaceful scenery on earth with a Heli-flight, soaring across dramatic landscapes to the top of one of the South Island’s epic mountains. You’re then free to carve your own path down the untouched and uncrowded slopes while enjoying one of New Zealand’s most memorable adventures. Make it happen: In 2017 you can enjoy heli-skiing on the mountains in Queenstown, Wanaka or Mt Cook during New Zealand’s ski season (usually from June onwards). While most people who are preparing to skydive are preoccupied, by fear or excitement, one of the best things about sky diving, especially in Wanaka, is the incredible views that greet the eye from every angle – before you’ve even jumped! Make it happen: Check out Skydive Wanaka for more information. New Zealand has an abundance of natural beauty and there’s no better way to fully immerse yourself in your surroundings than by zipline. While zip lining might be considered a relatively new adventure activity in New Zealand – we still do it with style, like zipping past the Remarkables Mountain range in Queenstown or gliding through some of New Zealand’s most precious native forest in Rotorua. Make it happen: Visit Rotorua Canopy Tours for more information. History, culture, exploration and spellbinding landscapes collide to make hiking Mt Tarawera one of the most unique and uplifting adventure activities in New Zealand. Standing guard above Rotorua, Mt Tarawera is both revered and respected by local Maori. The mountain erupted in 1886 creating a bubbling cauldron of geothermal activity – while simultaneously destroying the world-famous Pink and White Terraces. Make it happen: Kaitiaki Adventures offer guided tours of Mt Tarawera from Rotorua 7 days a week. Looking for a truly wild adventure activity in New Zealand? You don’t get any wilder than canyoning, where abseiling, cave crawling, taking leaps of faith from waterfalls and slithering down rocks is the name of the game in some of New Zealand’s most isolated locations. Make it happen: Canyoning can be done in quite a few locations on New Zealand’s North and South Islands – no experience is usually necessary. 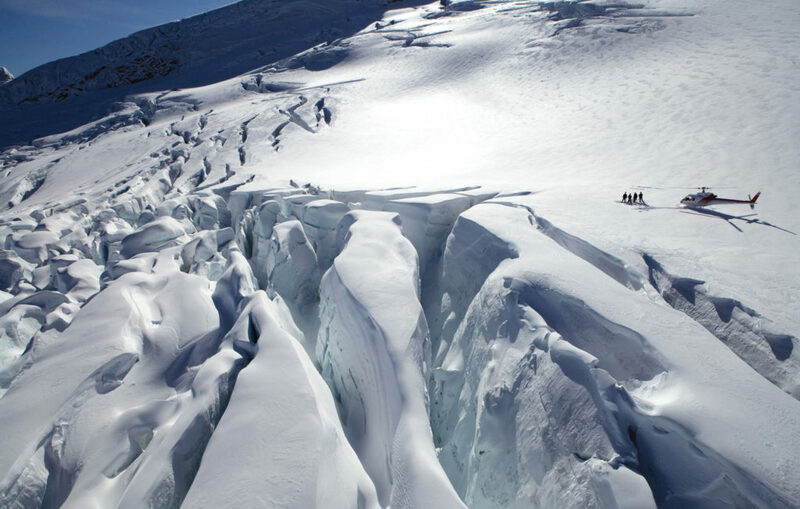 Sledging offers one of the most epic adventure activities New Zealand has to offer. Taking place on Rotorua’s fast-flowing Kaituna River (one of the most famous white-water rafting rivers in the world) sledging gives you complete control of your journey as your flippers dictate your speed – the ultimate way to become one with the river and nature! Make it happen: Kaitiaki Adventures, based in Rotorua, offer guided Sledging on the Kaituna. Click here for bookings and more info. Jet-boating is a true Kiwi invention so it makes sense that it would be one of the top adventure activities in New Zealand. There’s no better place to experience the epic thrills and spills of this river-based adventure than on Queenstown’s Shotover Jet – one of New Zealand’s most famous and beautiful rivers. Make it happen: The Shotover River is located in Queenstown on New Zealand’s South Island. Check out Shotover Jet for more information. Raft the highest commercially raftable waterfall in the world! If you’re looking for a stunning white-water adventure with some Maori culture thrown into the mix then look no further than rafting on the Kaituna River. Kaitiaki Adventures’ experienced guides take you on an epic journey through native bush and over rapids and waterfalls, including the astounding 7 metre Tutea Falls – the highest commercially rafted waterfall in the world – while offering a true insight into the Tangata Whenua of the land. 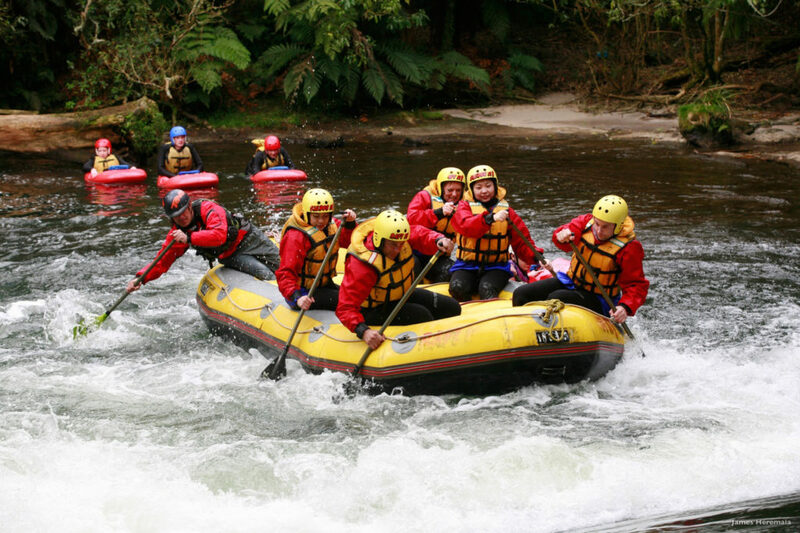 Make it happen: Kaitiaki Adventures offer rafting adventures 7 days a week with collections from central Rotorua accommodation and Rotorua Information Centre. Make it happen: Click here for more information.